We are reminded that Jan 1, New Year's Day, is a day of obligation for Catholics. There is a full schedule of Latin Masses to meet that requirement. The Church gives us, in to-day's Office, this opening of a Sermon of St. Fulgentius for the Feast of St. Stephen: "Yesterday, we celebrated the temporal Birth of our eternal King: to-day, we celebrate the triumphant passion of his Soldier. Yesterday, our King, having put on the garb of our flesh, came from the sanctuary of his Mother's virginal womb, and mercifully visited the earth: to-day, his Soldier, quitting his earthly tabernacle, entered triumphantly into heaven. Jesus, whilst still continuing to be the eternal God, assumed to himself the lowly raiment of flesh, and entered the battle-field of this world: Stephen, laying aside the perishable garment of the body, ascended to the palace of heaven, there to reign for ever. Jesus descended veiled in our flesh: Stephen ascended wreathed with a martyr's laurels. Stephen ascended to heaven amidst the shower of stones, because Jesus had descended on earth midst the singing of Angels. Yesterday, the holy Angels exultingly sang, Glory be to God in the highest; to-day, they joyously received Stephen into their company. ... Yesterday, was Jesus wrapped, for our sakes, in swaddling-clothes: to-day, was Stephen clothed with the robe of immortal glory. Yesterday, a narrow crib contained the Infant Jesus: to-day, the immensity of the heavenly court received the triumphant Stephen." Now, the glorious Martyr-band of Christ is headed by St. Stephen. His name signifies the Crowned; - a conqueror like him could not be better named. He marshals, in the name of Christ, the white-robed army, as the Church calls the Martyrs; for, he was the first, even before the Apostles themselves, to receive the summons, and right nobly did he answer it. Stephen courageously bore witness, in the presence of the Jewish Synagogue, to the divinity of Jesus of Nazareth; by thus proclaiming the Truth, he offended the ears of the unbelievers; the enemies of God, became the enemies of Stephen, and, rushing upon him, they stone him to death. Amidst the pelting of the blood-drawing missives, he, like a true soldier, flinches not, but stands, (as St. Gregory of Nyssa so beautifully describes it,) as though snow-flakes were falling on him, or roses were covering him with the shower of their kisses. Through the cloud of stones, he sees the glory of God; - Jesus, for whom he was laying down his life, showed himself to his Martyr, and the Martyr again rendered testimony to the divinity of our Emmanuel, but with all the energy of a last act of love. Then, to make his sacrifice complete, he imitates his divine Master, and prays for his executioners: falling on his knees, he begs that this sin be not laid to their charge. Thus, all is consummated - the glorious type of Martyrdom is created, and shown to the world, that it may be imitated, by every generation, to the end of time, until the number of the Martyrs of Christ shall be filled up. Stephen sleeps in the Lord, and is buried in peace - in pace - until his sacred Tomb shall be discovered, and his glory be celebrated a second time in the whole Church, by that anticipated Resurrection of the miraculous Invention of his Relics. Stephen, then, deserves to stand near the Crib of his King, as leader of those brave champions, the Martyrs, who died for the Divinity of that Babe, whom we adore. Let us join the Church in praying to our Saint, that he help us to come to our Sovereign Lord, now lying on his humble throne in Bethlehem. 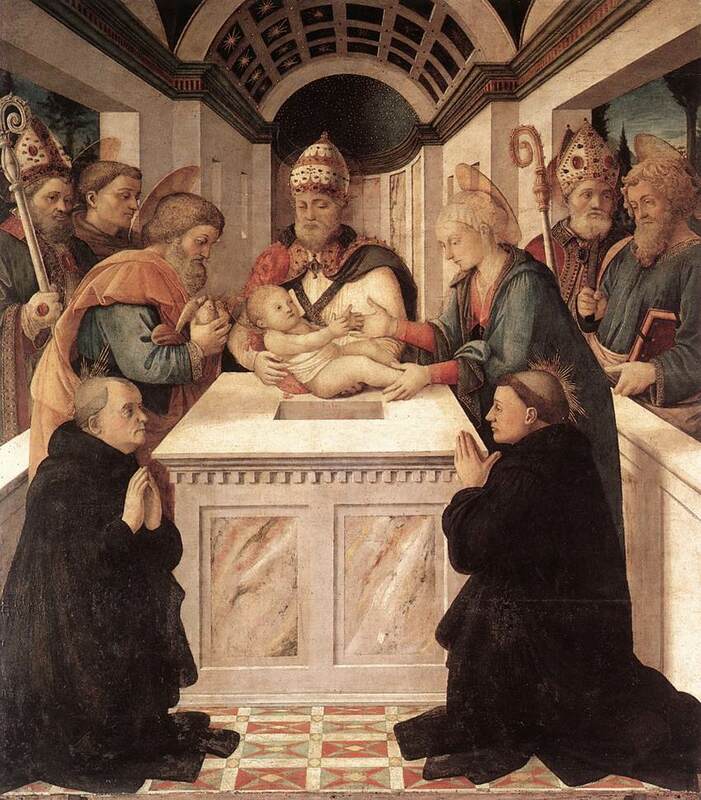 Let us ask him to initiate us into the mystery of that divine Infancy, which we are all bound to know and imitate. It was from the simplicity he had learnt from that Mystery, that he heeded not the number of the enemies he had to fight against, nor trembled at their angry passion, nor winced under their blows, nor hid from them the Truth and their crimes, nor forgot to pardon them and pray for them. What a faithful imitator of the Babe of Bethlehem! 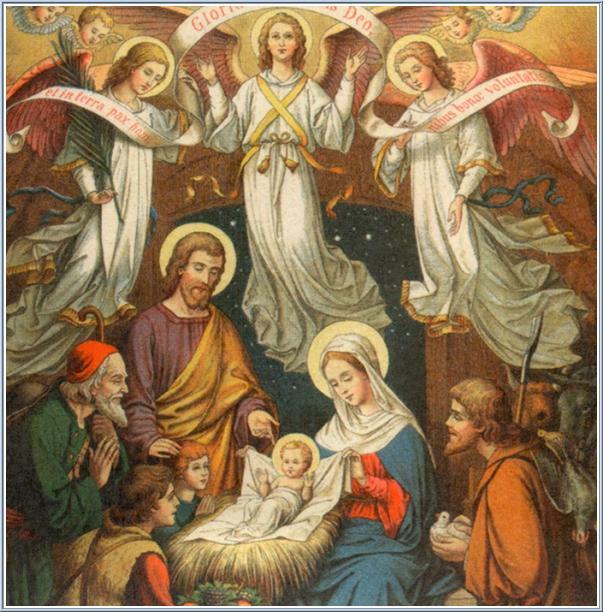 Our Jesus did not send his Angels to chastise those unhappy Bethlehemites, who refused a shelter to the Virgin-Mother, who in a few hours was to give birth to Him, the Son of David. He stays not the fury of Herod, who plots his Death - but meekly flees into Egypt, like some helpless bondsman, escaping the threats of a tyrant lordling. But, it is under such apparent weakness as this, that he will show his Divinity to men, and He the Infant-God prove himself the Strong God. Herod will pass away, so will his tyranny; Jesus will live, greater in his Crib, where he makes a King tremble, than is, under his borrowed majesty, this prince-tributary of Rome; nay, than Caesar-Augustus himself, whose world-wide empire has no other destiny than this - to serve as handmaid to the Church, which is to be founded by this Babe, whose name stands humbly written in the official registry of Bethlehem. Here is the schedule of Latin Masses for Christmas. The parish wants you to know that there will be security on duty in the parking lot that night. Just a quick note about the Latin Masses scheduled for the Solemnity of the Immaculate Conception, Saturday, Dec. 8. This is an holy day of obligation. 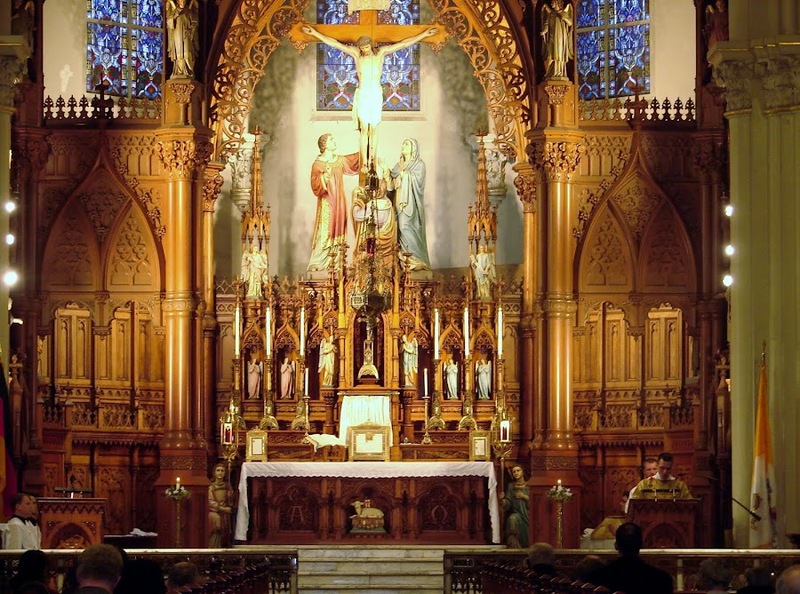 Catholics are required to attend Mass on both Saturday (the 8th) and Sunday (the 9th). *For those who regularly attend Mass in the Ordinary Form, the Saturday Vigil Mass will not satisfy the obligation for the Immaculate Conception. Please pass this information along to those who may benefit from it.